January 27th, 2010 - BOOM! Town, a new imprint of BOOM! Studios, announced today the TOO MUCH COFFEE MAN “DEATH BEFORE DECAF” ANIMATED MUG. “It animates when you put hot coffee into it!” Said Shannon Wheeler, creator of TOO MUCH COFFE MAN. 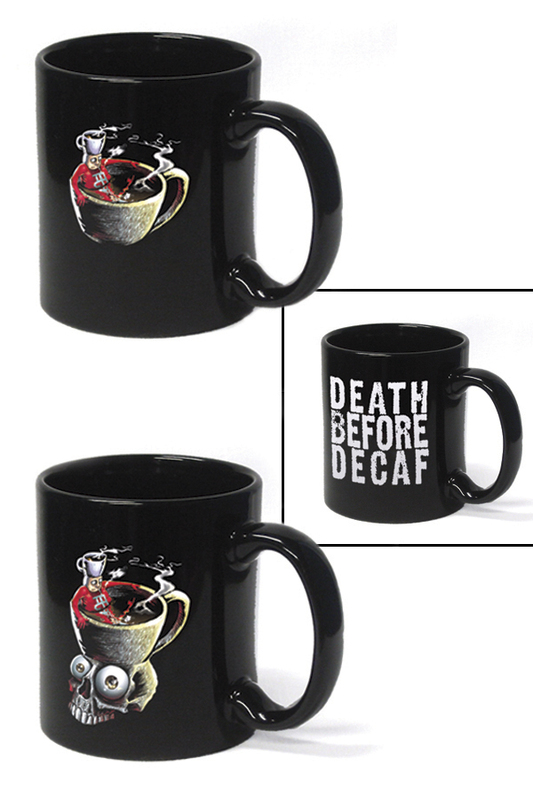 TOO MUCH COFFEE MAN “DEATH BEFORE DECAF” ANIMATED MUG costs $14.99 and carries a Diamond Code of JAN100822.